You might be busy following Kristen Wiig and the Ghostbuster-ettes, or maybe you're checking out Sandoval’s in-game Instagrams, but what you should be doing is enjoying the summer in Boston. So stop stalking celebs on your phone and check out these eight great shindigs in July. 4th of July Jack’s Abby Brewing Dinner Celebrate ‘Merica’s birthday in style with dinner and a show at Restaurant dante starting at 7:30pm. Chef/owner Dante de Magistris and Jack’s Abby Brewing team up for this not-to-be-missed five-course spread, followed by Independence Day fireworks viewed from Dante’s riverside terrace. Tickets are $100, call 617.497.4200 for reservations. 4th of July Jack’s Abby Brewing Dinner Restaurant dante Celebrate ‘Merica’s birthday in style with dinner and a show at Restaurant dante starting at 7:30pm. Chef/owner Dante de Magistris and Jack’s Abby Brewing team up for this not-to-be-missed five-course spread, followed by Independence Day fireworks viewed from Dante’s riverside terrace. Tickets are $100, call 617.497.4200 for reservations. 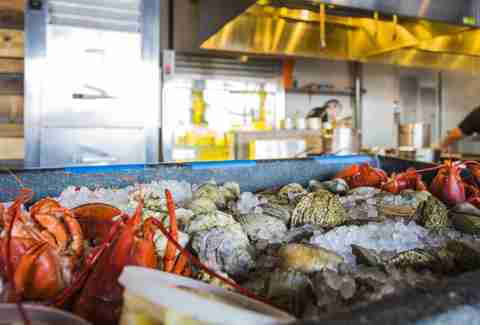 Clambake Sundays There’s nothing better than seafood in the summertime, and Ward 8 keeps the sun shining on Sunday nights with its weekly lobster clambakes (through September 27th). And they’ll have all the trimmings: lobster, clams, mussels, chorizo sausage, and corn on the cob, plus a recommended New England beer pairing. Yes, please. Dinners are $33/person, and reservations are recommended (617.823.4478). Clambake Sundays Ward 8 (North End) There’s nothing better than seafood in the summertime, and Ward 8 keeps the sun shining on Sunday nights with its weekly lobster clambakes (through September 27th). And they’ll have all the trimmings: lobster, clams, mussels, chorizo sausage, and corn on the cob, plus a recommended New England beer pairing. Yes, please. Dinners are $33/person, and reservations are recommended (617.823.4478). 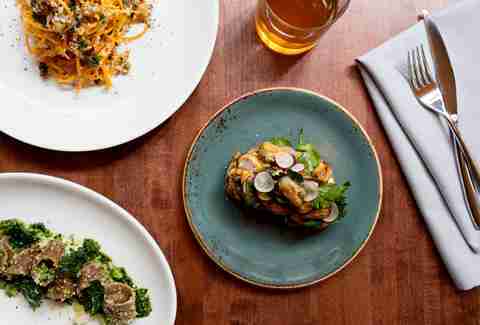 Micro Mondays You can now look forward to Mondays with La Brasa’s microbrew feasts. This month, Rising Tide, Bantam, Aeronaut, and Cisco join the house team for unique three-course menus with pairings (available during regular dinner hours), and it’s only $40 per person. Pick your favorite, or all of them, and call 617.262.3023 for your seat at the table. Micro Mondays La Brasa (Somerville, MA) You can now look forward to Mondays with La Brasa’s microbrew feasts. This month, Rising Tide, Bantam, Aeronaut, and Cisco join the house team for unique three-course menus with pairings (available during regular dinner hours), and it’s only $40 per person. Pick your favorite, or all of them, and call 617.262.3023 for your seat at the table. Pintastic New England If you “play the silver ball” like Tommy, then head to Sturbridge for a two-day pinball bender at Pintastic New England. It’ll be bumper-flipping madness with over 200 machines, charity raffles, door prizes, seminars (with real pinball wizards), a beer garden, and multiple tournaments to become Bally Table King. Ticket packages vary, each with different perks and swag. 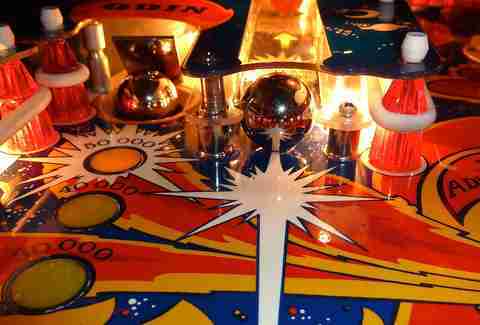 Pintastic New England Sturbridge Host Hotel and Convention Center (Sturbridge, MA) If you “play the silver ball” like Tommy, then head to Sturbridge for a two-day pinball bender at Pintastic New England. It’ll be bumper-flipping madness with over 200 machines, charity raffles, door prizes, seminars (with real pinball wizards), a beer garden, and multiple tournaments to become Bally Table King. Ticket packages vary, each with different perks and swag. Harvest’s First Annual Summer Pig Roast It’s prime swine time at Harvest as it welcomes you to its first annual Summer Pig Roast bonanza from 6-9pm. And you get the whole hog with dishes like grilled pork sausage, BBQ pulled pork sammies, and garlic- & cumin-roasted porchetta. In case you need extra convincing (you shouldn’t), there’s also abundant side dishes, an ice cream bar, cotton candy, and... wait for it... funnel cakes. Tickets = $60. 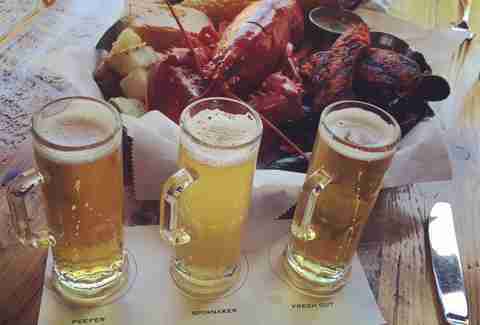 Harvest’s First Annual Summer Pig Roast Harvest (Harvard Square) It’s prime swine time at Harvest as it welcomes you to its first annual Summer Pig Roast bonanza from 6-9pm. And you get the whole hog with dishes like grilled pork sausage, BBQ pulled pork sammies, and garlic- & cumin-roasted porchetta. In case you need extra convincing (you shouldn’t), there’s also abundant side dishes, an ice cream bar, cotton candy, and... wait for it... funnel cakes. Tickets = $60. Garden Dinner Series Alden & Harlow’s famed Garden Dinner series has returned for the summer, and this season’s bounty aims to please your palate. Big time. Chef Scelfo will partner with local farms to create four-course family-style menus featuring freshly grown, raised, and/or made regional offerings, and this month’s guests are Brambly Farms (July 22) and Island Creek Oysters (July 29). Space is limited, so you better RSVP here ASAP. RSVP email: info@aldenharlow.com. 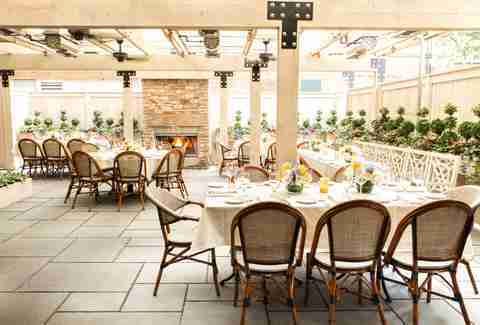 Garden Dinner Series Alden & Harlow (Harvard Square) Alden & Harlow’s famed Garden Dinner series has returned for the summer, and this season’s bounty aims to please your palate. Big time. Chef Scelfo will partner with local farms to create four-course family-style menus featuring freshly grown, raised, and/or made regional offerings, and this month’s guests are Brambly Farms (July 22) and Island Creek Oysters (July 29). Space is limited, so you better RSVP here ASAP. RSVP email: info@aldenharlow.com. 12th Annual Revere Beach National Sand Sculpting Festival Pop quiz: what’s the best thing to happen to sand since Baywatch? 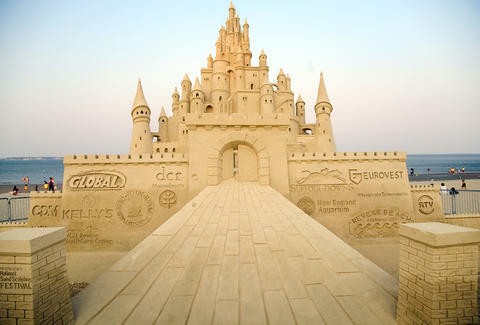 Answer: the Revere Beach National Sand Sculpting Festival, that’s what. Ten-plus international sculptors will compete for the Master Solo title by shaping 10 tons of sand into temporary masterpieces, and you can check out every grain of action. (Just don’t sneeze.) The weekend-long party includes a gourmet food truck festival, live music, and a fireworks finale. 12th Annual Revere Beach National Sand Sculpting Festival Revere Beach Pop quiz: what’s the best thing to happen to sand since Baywatch? 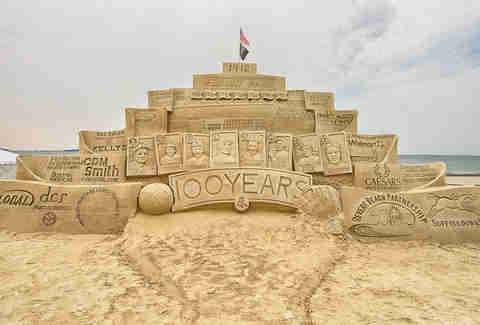 Answer: the Revere Beach National Sand Sculpting Festival, that’s what. Ten-plus international sculptors will compete for the Master Solo title by shaping 10 tons of sand into temporary masterpieces, and you can check out every grain of action. (Just don’t sneeze.) The weekend-long party includes a gourmet food truck festival, live music, and a fireworks finale. Root Beer Dinner Tower Root Beer, originally from Somerville, is turning 100, and Tryst will celebrate the soda’s birthday with a major three-course bash (6pm). Chef Paul Turano and the Tower team collaborated on root beer-inspired dishes and cocktails for a one-of-a-kind dinner experience honoring Tower’s timeless recipe. $34 per person, reservations required (781.641.2227). 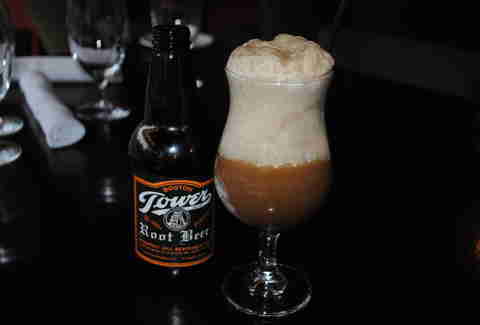 Root Beer Dinner Tryst (Arlington) Tower Root Beer, originally from Somerville, is turning 100, and Tryst will celebrate the soda’s birthday with a major three-course bash (6pm). Chef Paul Turano and the Tower team collaborated on root beer-inspired dishes and cocktails for a one-of-a-kind dinner experience honoring Tower’s timeless recipe. $34 per person, reservations required (781.641.2227).